Nelson County is home to a wide variety of wineries, breweries, cideries and distilleries, each with its own unique setting. 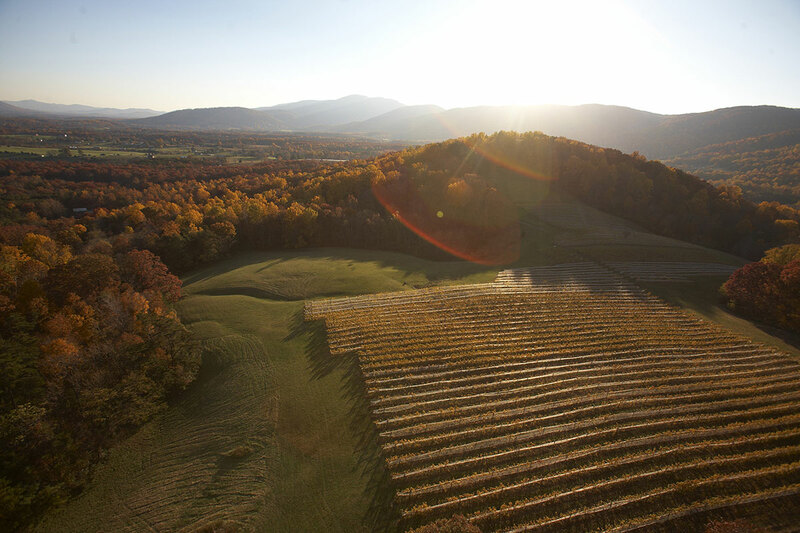 Taste and enjoy some of Virginia’s award winning wines, perhaps with bread and cheese or a picnic lunch, while overlooking verdant valley viewsheds and mountain vistas. Celebrate Virginia’s craft brewing movement along the Brew Ridge Trail. View the hops plantings at the crest of the Blue Ridge Parkway, relax at a Biergarten, shop at a retail village, or cozy up to a warm fireplace at a rustic bar while enjoying your favorite brew. With easy access to the Route 29 corridor, the following wineries are open to visitors: Lovingston Winery, Delfosse Vineyards and Winery, Brent Manor Vineyards and Mountain Cove Vineyards. Along the ROUTE 151 Rockfish Valley Highway are Veritas Vineyard and Winery, Cardinal Point Winery, Afton Mountain Vineyards, Flying Fox Vineyard and Hill Top Berry Farm and Winery. Most of the wineries have special events on selected weekends and usually include music and food along with wine tasting. The BREW RIDGE TRAIL is one of Central Virginia’s most popular Beer Trails. Nelson County is proud to be the home of Blue Mountain Brewery, Devils Backbone Brewing Company, Blue Mountain Barrel House and Wild Wolf Brewing Company. All four breweries have been producing celebrated craft beers that are critically acclaimed and celebrated far beyond our region’s borders. And now open: Wood Ridge Farm Brewery in Lovingston and Brewing Tree Beer Company in Afton. BOLD ROCK HARD CIDER in the Nellysford area features various hard cider varieties made from Virginia apples and in Roseland, you will find BRYANT’S SMALL BATCH CIDER. In Wintergreen, you can also taste a variety of ciders at BLUE TOAD HARD CIDER at High View Farm. SILVERBACK DISTILLERY in Afton produces ultra premium vodka, gin, whiskey and bourbon. Also try the American Single Malt Whiskey from VIRGINIA DISTILLERY COMPANY in Lovingston or DEVILS BACKBONE DISTILLING COMPANY in Roseland for gin, silver rum and fine brandy.